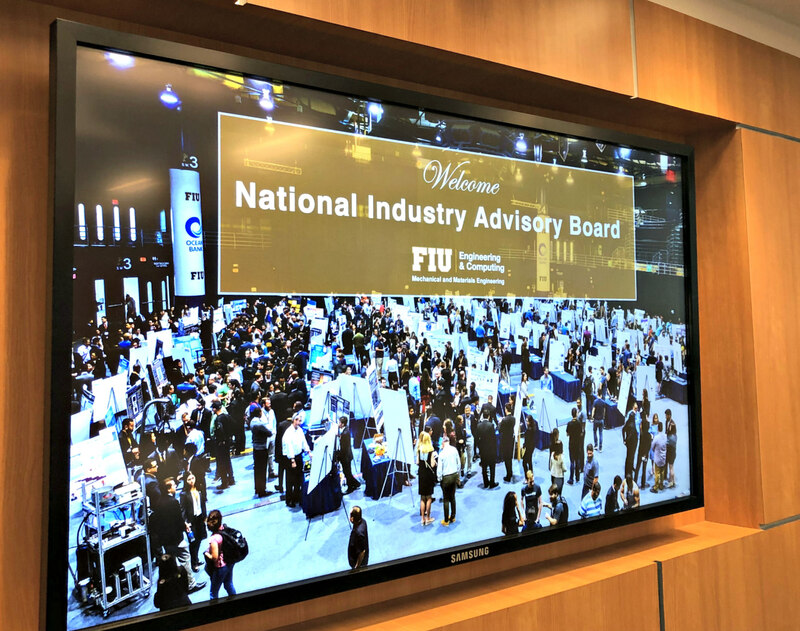 On Friday, March 8th, 2019, the Department of Mechanical and Materials Engineering (MME) hosted the National Industry Advisory Board as part of the goal to expand the visibility of the department at the university, state, and national level. The board consists of seven highly reputable industry partners including Boeing, Stryker, Plasma Processes, Neptune Research, Curtiss-Wright, Clarkson Aerospace, and A&A Coatings, which are a valuable resource for the department as they provide program development insights and industry perspectives. Following a breakfast reception and quick introduction, Dr. Arvind Agarwal, chair of the department, provided an overview of the MME department which consisted of current student demographics, enrollment, graduation rates, and other factors that directly affect the growth of the program. The industry partners quickly addressed certain concerns and offered feasible solutions to increase targeted metrics, which would ultimately benefit not only the department but the university as a whole. As the meeting progressed, the MME senior design faculty, which consists of Dr. Benjamin Boesl, Dr. Kevin Boutsen, Dr. Carmen Muller-Krager, and Dr. Alexandra Strong, addressed the current dynamic of the senior design development and the vision for the future. The senior design class is a two-semester sequence open to those who have completed most of their engineering undergraduate coursework, which provides students with a broad background and appropriate knowledge of tools to implement the projects. In the past, most of the senior design projects have been student-generated ideas, however, there have been various obstacles in this process relating to the feasibility of materials and time. The senior design faculty proposed a revolutionized approach in which there is a stronger partnership between industrial partners and students in a collaborative research setting. As students tackle real-world engineering projects provided by the industry supporters, they will be better prepared as engineers outside of the classroom upon graduation. Previous collaboration with industry partners has proved to be a critical asset in the success of senior design projects and plays an integral role in the development of high-quality engineering graduates. In order to obtain the student perspective on the senior design process, following the discussion with the senior design faculty, certain students who were enrolled or previously enrolled in the senior design courses were invited to share their thoughts. Students were able to directly express their concerns with the industry partners which sought to understand how they could assist in making the experience better. 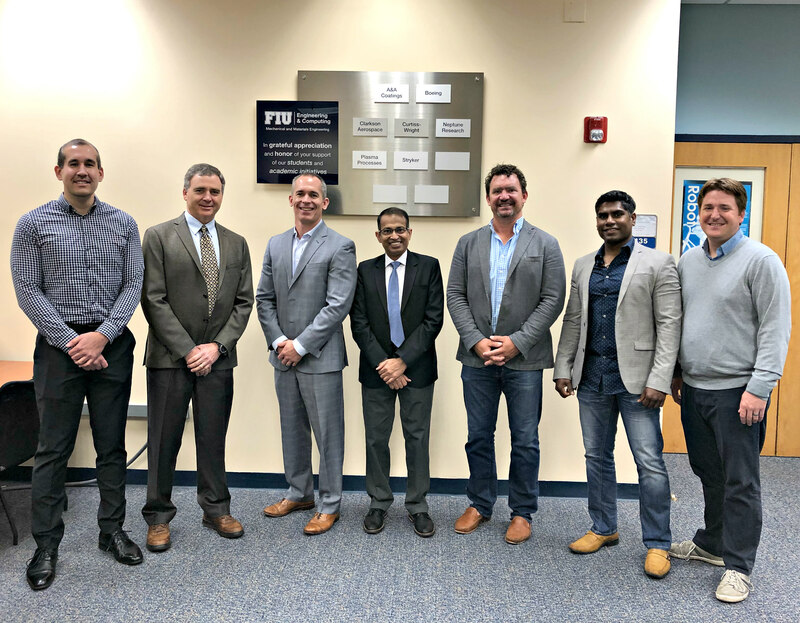 Following the feedback session, the advisory board attendees were given exclusive tours of the Advanced Materials Engineering Research Institute (AMERI), Plasma Forming Laboratory (PFL), Engineering Manufacturing Center (EMC), and certain teaching labs. Overall, the meeting provided a promising outlook for the collaboration between the various industry partners and the department, and we look forward to building alliances between the MME department and industry!